Day dreaming on your trip to the Galápagos Islands? But afraid that it is not possible to do it on a low-budget? These unique islands are located 1000 km off the Ecuadorian coastline and the most well-known destination. I have noticed that whenever I mention where I come from, people will immediately react when I mention the Galapagos Islands. It is after all, one the world’s most sought-after travel destinations in the world! The islands are famous for wildlife watching and are known worldwide as the source of inspiration for Charles Darwin´s famous theory of evolution. An archipelago of lava formations offering a wide number of activities and attractions to visit. If you are in the Galápagos Islands I would love to see your pictures. Despite all the expensive offers available online, partly to limit or control mass tourism as the impact on the islands is restricted and regulated to smaller groups, getting cheaper options to plan your holidays is feasible! Here are some tips for how to Travel low-budget to the Galapagos Islands. Cruises are booked months and even years in advance. Despite this, if you will visit the Galápagos islands on a cruise ship you can find some last minute cruise seats. You can purchase them once you are in Quito, Guayaquil, and directly at the Galapagos islands. The best prices are to be found in the route Quito (UIO), Ecuador and Baltra Airport (GPS) in the Galapagos. Book in advance to get good prices! I personally recommend using Expedia to find the best rates. Depending on the season you will find really good prices in places to stay in Santa Cruz, the main islands for most Day tours. If you like planning ahead here are some great options of places to stay in the Galápagos islands. You can find some nice, clean places to stay, including breakfast for less than $20 USD. In addition, there will be places not listed online, so you can travel to most places in Ecuador and South America and find availability once you arrive on site. Another great option is to rent homes from local hosts via AirBnb. In addition to renting local unique accommodation, feeling more at home, you can get $38 off your first adventure if you join for free here before November. Island hopping during the day is an excellent way to enjoy the day and find some great last minute deals available from local tour operators. I do recommend booking in advance here. You can enjoy different activities, including hiking, snorkelling with sea lions and sightseeing. Book a day trip to Garrapatero Beach and to Tortuga Bay from Santa Cruz, here. -You can rent snorkelling equipment in Santa Cruz and enjoy the gorgeous turquoise sea and the marine life. 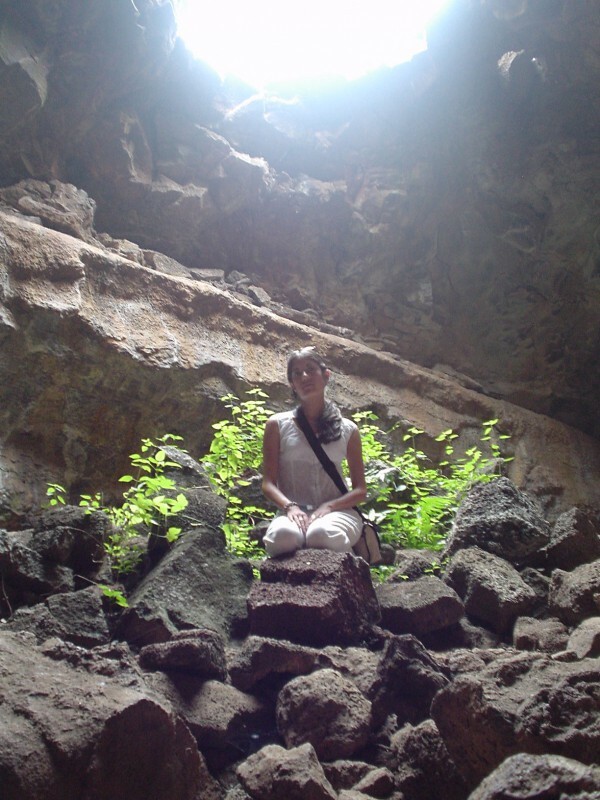 -Visit the underground caves – lava tubes in the highlands of Santa Cruz. You can take the local bus to get there. – If you are staying in Santa Cruz Island, a visit to the Charles Darwin’s research station is mandatory. 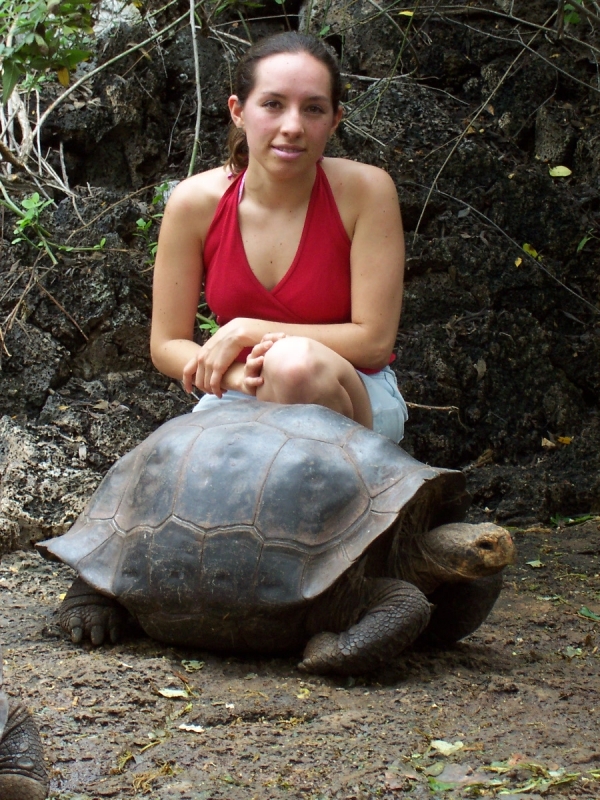 Also, Get a glimpse at one of the giant Galapagos tortoises you can admire on the highlands of Santa Cruz Island. Follow the marked path from Santa Cruz city center. It will get you straight to Tortuga Bay. A white pristine gorgeous beach. 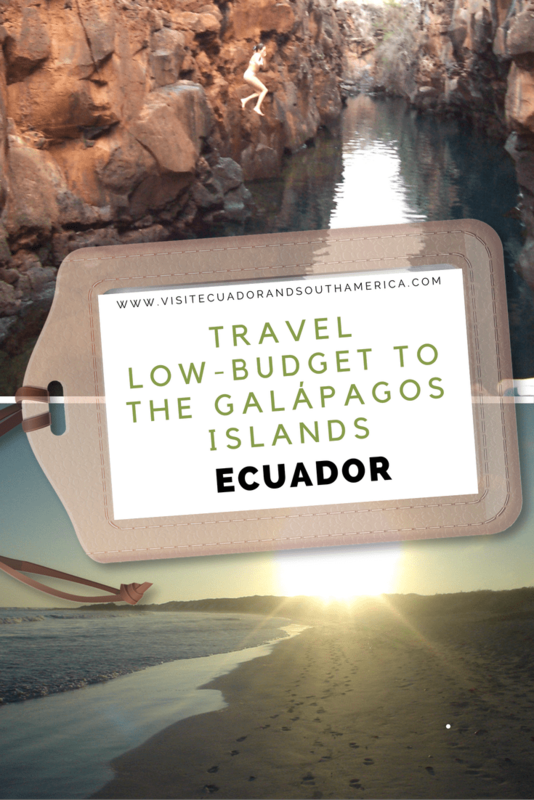 Do some research, plan accordinginly and don’t believe that Galapagos is just limited for people with a big budget. I hope that these tips help you enjoy a low-budget trip to the unique islands. Planning a trip here soon? Comment below or send me an email, I can help you with more tips.